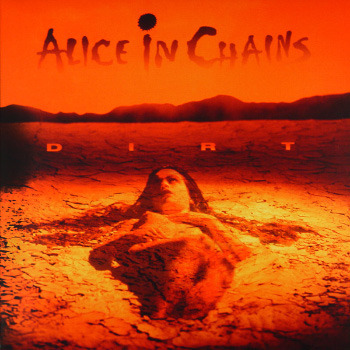 Dirt is the second studio album by the American grunge band Alice in Chains and was released on September 29, 1992, through Columbia Records. Peaking at number six on the Billboard 200, the album was well received by music critics and has since been certified four-times platinum by the RIAA, making Dirt the band's highest selling album to date. The album spawned five singles: "Would? ", "Them Bones", "Angry Chair", "Rooster", and "Down in a Hole". The songs on the album focused on depression, anger, drug use, war, death, and other emotionally heavy topics.